How many CME credits do physicians specializing in Emergency Medicine need? The American Board of Emergency Medicine (ABEM) requires physicians to earn an average of 25 AMA PRA Category 1 CreditsTM per year to maintain their board certification. 8 of these 25 credits must be from self-assessment activities. Credits viewed as equivalent to AMA PRA Category 1 CreditsTM that would also suffice to meet the board requirements are AAFP Prescribed Credit, ACOG Cognates, and AOA Category 1-A Credits. In addition, all credits must be related to the physician’s primary practice. In addition to earning enough credits to meet the ABEM requirements, physicians must also earn a specific number of credits to maintain their license to practice in their state. The number of credits you earn to meet your state requirements, however, may count towards the credits needed to meet the ABEM’s CME requirements. Check out our state CME requirements guide to find out exactly how many CME credits you need to earn to meet your state medical licensing board’s requirements. What are other ABEM Recertification requirements in addition to earning CME credits? The Lifelong Learning and Self Assessment Tests are “designed to promote continuous learning for certified emergency physicians”. For the exams, the ABEM provides a set of readings and an open book, self-assessment test that is based on those readings. These test must be taken through the ABEM website/portal for it to count towards your requirements. Finally, physicians must pass the ConCertTM Exam to completely meet the ABEM’s MOC requirements. This exam assesses physicians’ knowledge, skills, and judgment regarding Emergency Medicine. This exam can only be taken if you are in years 6-10 of your recertification process. The exam occurs once a week in the fall in various Pearson VUE testing centers across North America. Why is CME important for physicians specializing in Emergency Medicine? The ABEM instilled a CME requirement to encourage continuous learning and professional development amongst physicians. 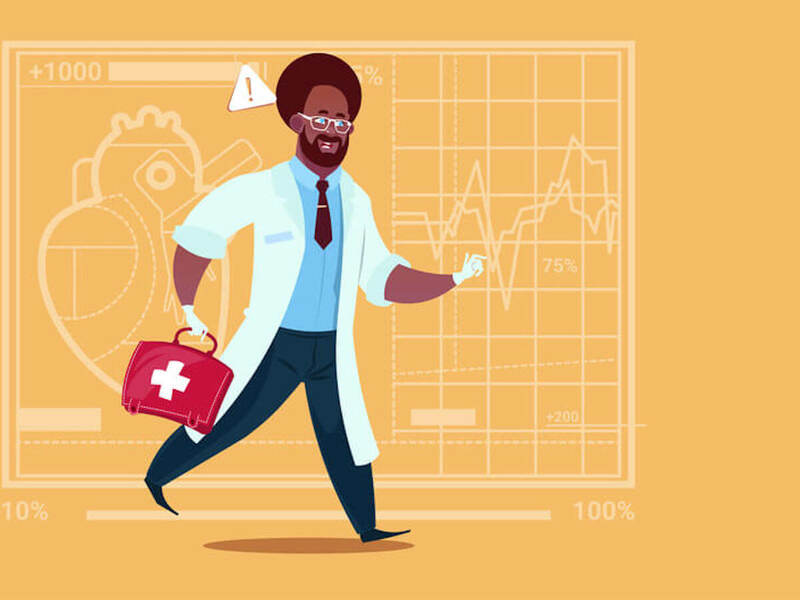 The ABEM claims that continuous learning and professional development by physicians will help improve the overall quality of emergency medicine care delivered to patients. Given the constant changes in Emergency Medicine and its subspecialties, it is imperative physicians stay up to date with the latest advances regarding best practices, diagnosis techniques, patient treatment, etc. Ideally, the Emergency Medicine CME programs you participate in will be current and constantly updated, allowing you to brush up your knowledge and ensure you are up to date with the advances within your primary focus. How can physicians who specialize in Emergency Medicine complete their CME requirements? Physicians who specialize in Emergency Medicine can complete their CME requirements via online Emergency Medicine CME courses. Many physicians prefer online CME activities because they are often convenient, up-to-date, extensively cover the key topics in Emergency Medicine and offer enough CME credits to meet the ABEM requirement of at least 25 CME credits every year. Both of these courses offer enough credits to complete your annual ABEM CME credit requirement and they both cover key topics in Emergency medicine including Musculoskeletal, Cardiovascular, Immune System, Thoracic and Respiratory System, and Toxicology issues. After thorough completion of these programs, you should better be able to do things such as recognize important pathophysiology concepts common to the care of emergency patients and describe common treatments for common and uncommon emergency medicine presentations. In addition to being a great resource for earning CME credits and expanding your knowledge around key Emergency Medicine topics, a major benefit of these CME programs is the convenience it offers. Both programs can be completed online, on your phone, or tablet, allowing you to learn and CME credits either from the convenience of your home or office or while on the go. The different formats it is offered in gives physicians the ability to earn credits whenever it fits their hectic schedule. One final benefit of these courses is that they both offer free gift cards with purchase. This allows physicians to use their CME allowance to get a free gift card in addition to the opportunity to earn CME credits. Check out this blog post on the top Emergency Medicine CME gift card offers for more information on these online courses. What live CME activities can I attend to earn Emergency Medicine CME credits? A popular option for earning Emergency Medicine CME credits other than online CME courses is live Emergency Medicine activities such as conferences, seminars, live board review courses, and more. These live events often feature top speakers in the field of Emergency Medicine who offer unique insights on the latest developments and trends in the specialty.